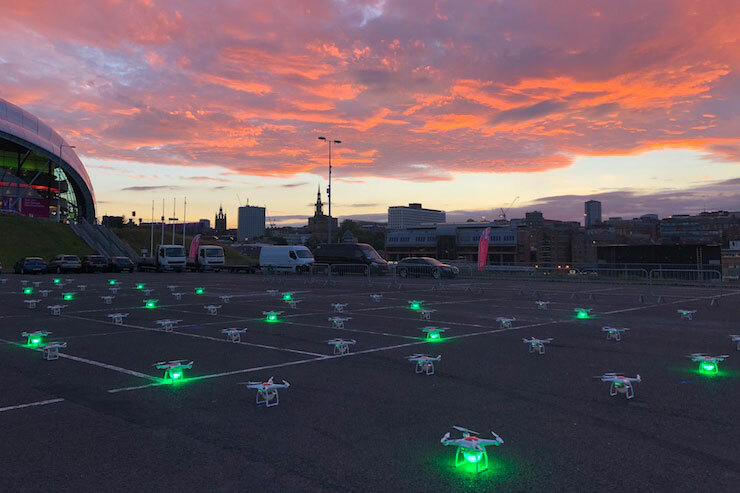 Performance drone company SKYMAGIC, (https://skymagic.show) who hold one of the biggest global fleets for both indoor and outdoor displays, designed and delivered a bespoke swarm drone show for the Great Exhibition of the North opening spectacular in Newcastle in 2018. 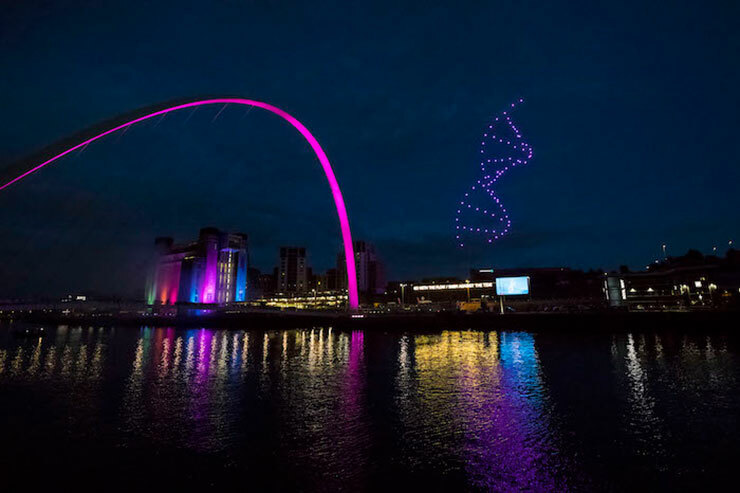 The ceremony featured a mesmerising show of 100 performance drones – each equipped with a super bright RGB pixel. It was developed around a track written and produced by electronic duo Darkstar, and operated via a single ground control station during the live event. 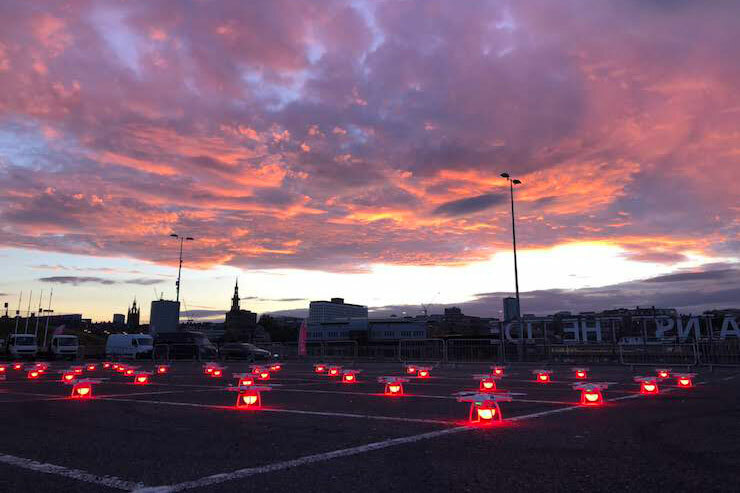 The customised fleet exhibited a vast array of colour changing LEDs that moved around the sky in a series of dynamic 3D formations to tell a story through dazzling emblems and motifs. 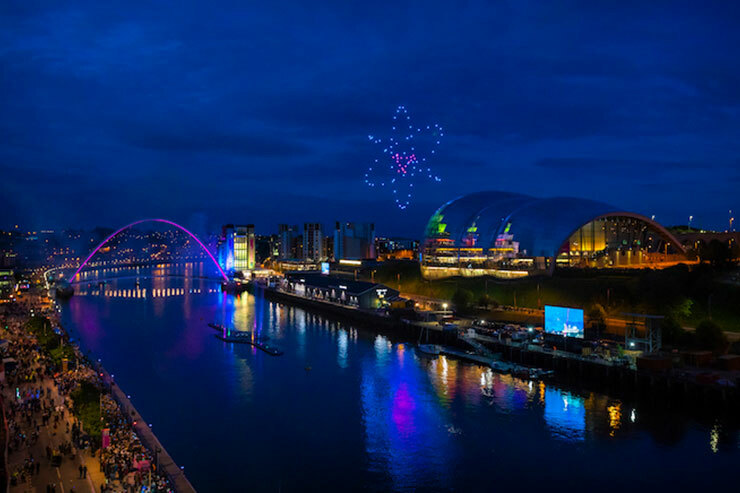 The choreography was designed to spark a sense of pride by drawing on the region’s rich heritage and celebrating its exciting future. It explored the notion of home and the human perception of what home is. 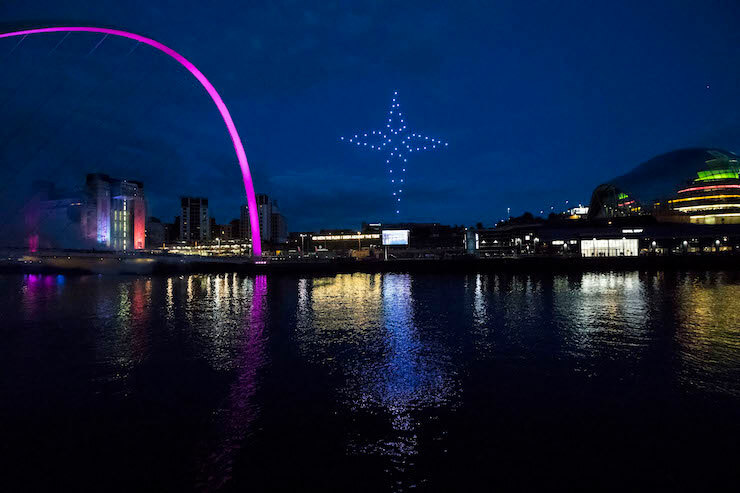 The North Star – a beacon that guides us home but also leads people on their own journeys into the future – was a key motif within a series of large tableaux. 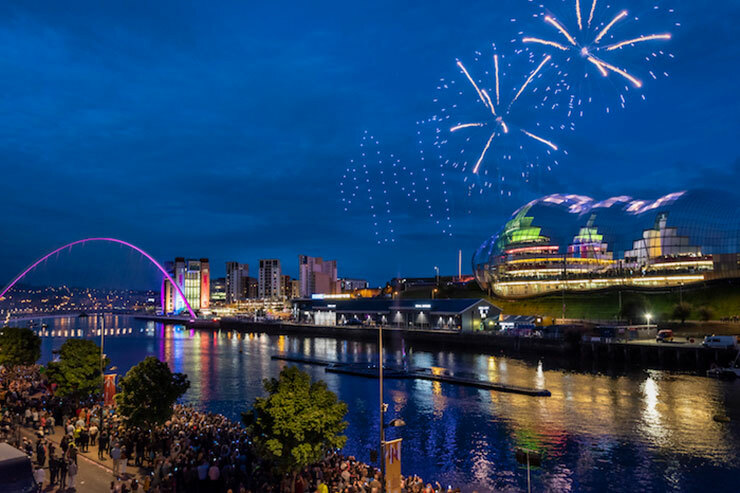 Through this metaphor, the show honoured the past, celebrated the present and shined a light on the dawn of a new generation that is proud of their Northern culture and legacy. SKYMAGIC’s mix of live entertainment expertise, cutting-edge super-stable system technology and innovative creative direction offered a dazzling and captivating show.